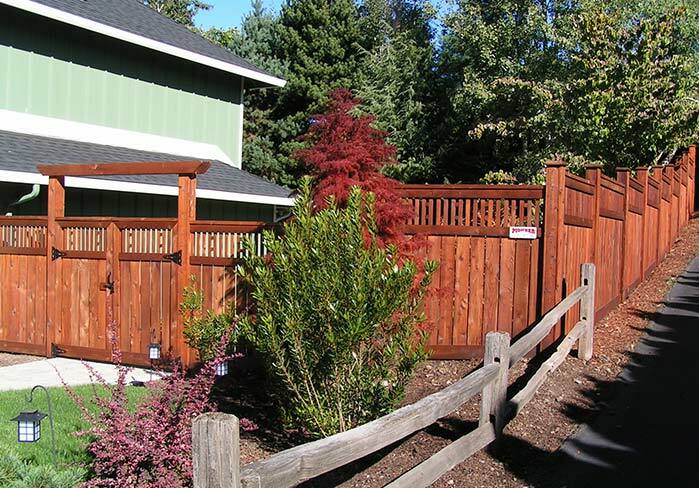 For over 18 years, Pioneer Fence, Deck & Supply Company has been providing superior service throughout Clark County Washington and the surrounding areas. We are a family owned and operated company and take pride in the fact that all free estimates are done by the owner, Robert. He meets directly with all clients whether it’s in our showroom breaking down materials for a DIY project or on location for installation options and pricing. We specialize in all types of fencing, from a standard wood fence to a custom built fence that appeals to your creative side. Whether you want your fence for full privacy or the peace of mind that comes from having a professionally installed fence keeping family members (big, small and 4-legged) safe inside your yard and out of harm’s way, Pioneer Fence can handle the job. We work with many home owners as that is where our hearts belong; however, we also have many opportunities to work with custom home builders, the Vancouver School District and many other large commercial companies. You can be reassured that with Pioneer Fence, Deck & Supply Company, you are not just another number because “Our Specialty is Your Satisfaction”. 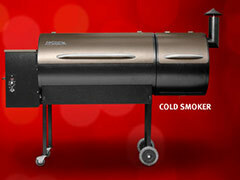 We invite you to visit our retail showroom located on Highway 99 in the Salmon Creek area of Vancouver, WA. There you will see our products and will be able to talk directly with our staff about your fence, deck or patio cover needs. During your visit, we hope you take the opportunity to look at all your options so you can enjoy everyday living in your home here in the Pacific NW. 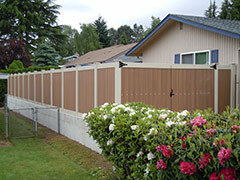 While fencing is one of our specialties, we are also one of the top TimberTech decking installers in Clark County. We have found customers are looking for more and more options for building a deck they can enjoy throughout the year but without all the maintenance. 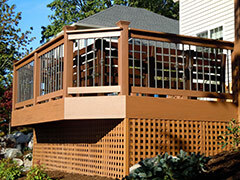 Please ask us for information on all your options when it’s time for your deck project. As our weather begins to change each year in September, we find ourselves starting to hibernate back indoors as the rain begins. 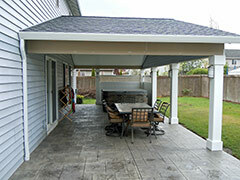 As a custom patio cover installer, there are many options we would like to share with you. 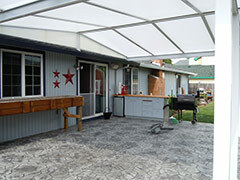 You can reach for the sky and have a custom built patio cover tailored to your needs or try our newest addition - Acrylite patio covers. This is a great alternative for those that have setbacks and restrictions or who might be looking for a less expensive option that still gives you great coverage and wonderful light throughout the year.